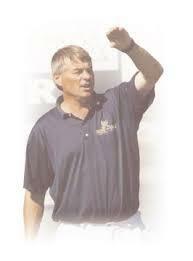 Steve Adlard’s soccer camps were created out of the passion Steve had for teaching the game. He was truly one of the greats and well respected amongst coaches around the world. To have such a prevalent coach live and teach in the greater Milwaukee area was truly an honor. Steve’s passion for soccer inspired his son Andy to follow in his father’s footsteps. Andy was taught by his father ever since he started playing the game and quickly inspired him to start coaching at a very young age. Steve and Andy coached for many years alongside each other until Steve’s passing in 2018. Steve has had a massive impact over the sport of soccer and more importantly in his community. Andy is determined to continue to pass on his father’s knowledge of the game and carry on the Steve Adlard Soccer Camp legacy. Goalkeepers will have training from goalkeeping staff for the first part of their age group session and then will join in for the games. We are proud to have some of the best coaches from around the nation. Our staff includes Region 2 ODP coaches, former professional coaches from USL and MLS, college coaches, Development Academy coaches, USL 2 coaches, and many more. We are also honored to have Steve’s good friend and former Men’s National Team and World Cup coach, Bob Gansler, helping at camp. Please visit adlardsoccercamps.com for more information and to register!